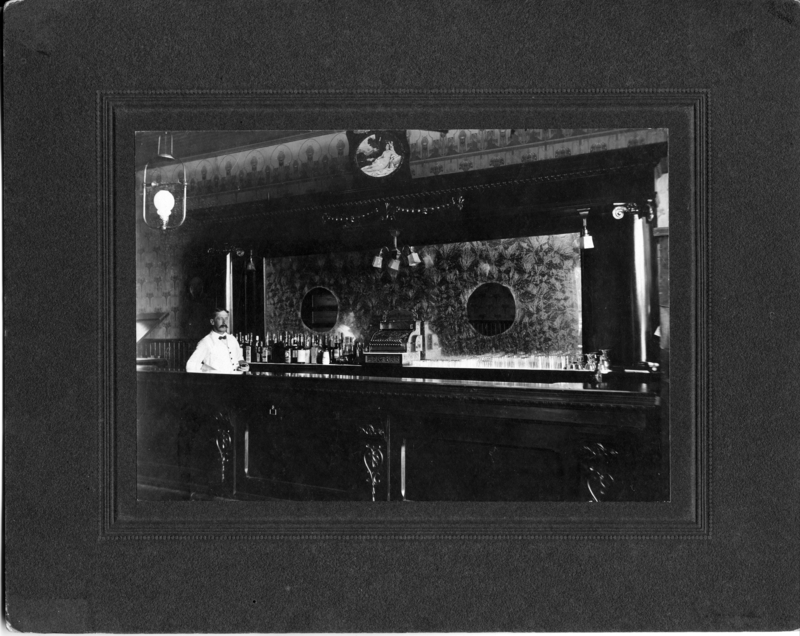 Mosler [sic] & Williams Bar, Oswego, Oregon. Gift of Mrs. Kenneth Mitchell, 3-1-1974. OA#134. Description Building probably located on northeast corner of State & A Ave. Mounted on cardboard. Transcription Mosler [sic] & Williams Bar, Oswego, Oregon. Gift of Mrs. Kenneth Mitchell, 3-1-1974. OA#134.